Rejcek Family Website - Vitame Vas! 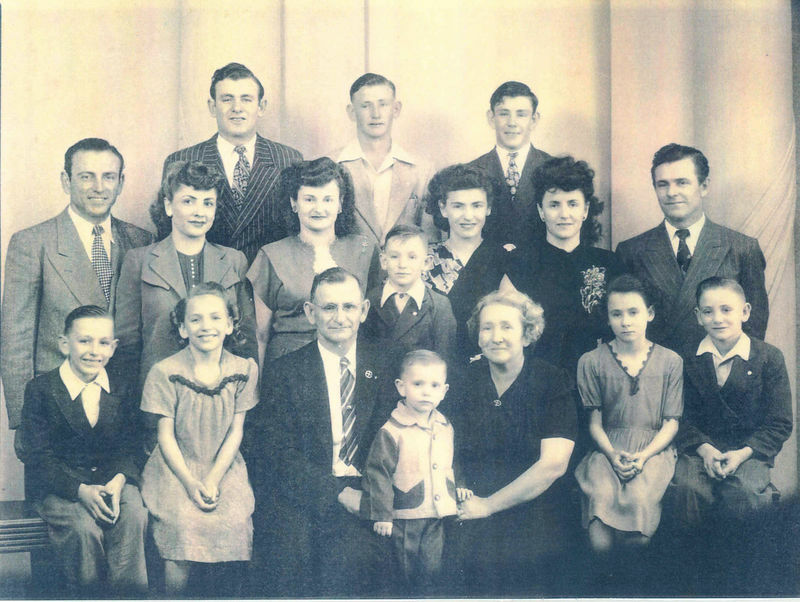 This website is dedicated to the family of John and Agnes Rejcek, the parents to sixteen children (Jerome, Raymond, Martha, Rudolfina, Louise, Jody, Mary, Alphonse, Felix, Johnnie, WillieMae, Willie, Edna, Edward, Rudolph, and Leo) raised in Abbott, Texas. Their legacies are prevalent in the lives of over 380 family members with their rich Czech heritage, cooking and love for music. We hope you enjoy this site, a gathering place for many of our family members. The following link is a video done as a Tribute to Agnes Rejcek. Please consider the video a work in progress - if any of the information is missing or incorrect please let me know. Also...if anyone has different photos in your own personal collection, feel free to send them to me. It would be great if we could share with generations to come. Prepared by Vladimir (Laddie) J. Rejcek and son, Dr. James M. Rejcek. souls and rest in peace." Pictures have been upload! Click the image below!!!!! What an incredible reunion! We had a wonderful time seeing our family - Oh how it has grown even in just the last few years! We are truly blessed!!! With just over 300 in attendance, we celebrated our family in so many ways.... PRAYER - BINGO - SWIMMING - KIDS GAMES - WASHERS - MORE SWIMMING - GROUP MEETING - CAMPSITE JAM SESSIONS - SO YOU THINK YOU CAN DANCE - HANGING OUT IN THE COVE! A huge THANK YOU to Shiloh on the Lake for their generous hospitality and providing such a wonderful camp facility for a family of this size! You were AMAZING! Please be sure to like their facebook page, give an awesome Yelp review, and visit their website shilohonthelake.com letting everyone know what a great facility this is! Constantly Adding Pictures to the online gallery! Please feel free to SHARE YOUR PICTURES! Send images to rejcekfamily@gmail.com or request information on steps to upload to the family gallery! Want to see how much fun we have celebrating the lives of one another and being a part of the Rejcek Family? Please visit our Event and Family Photo Albums!